Congratulations to Becky being offered the NSF GRFP fellowship! Congratulations to Becky and Frankie for their successful grad school interviews. Each has five top school admissions at hand! 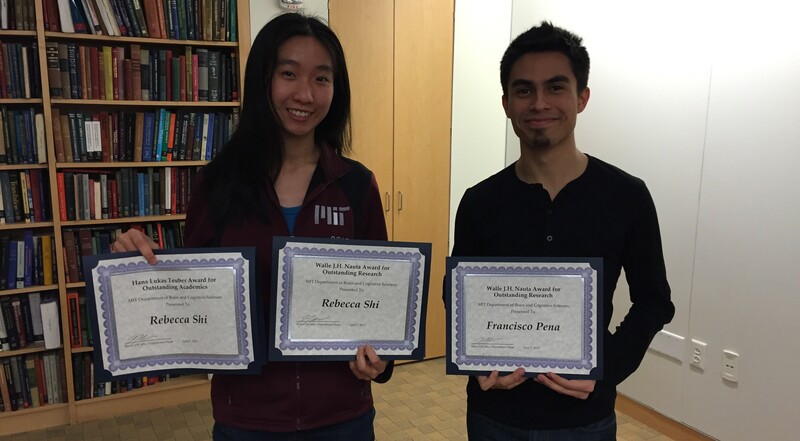 Congratulations to our two senior UROPs Becky@Outstanding Academics and Research and Frankie@Outstanding Research Awards from the Department of Brain and Cognitive Sciences! Sebastian has passed his qualify exam, and he is now a Ph.D candidate. We are looking for research assistant to join a highly motivated research lab in neuroscience. 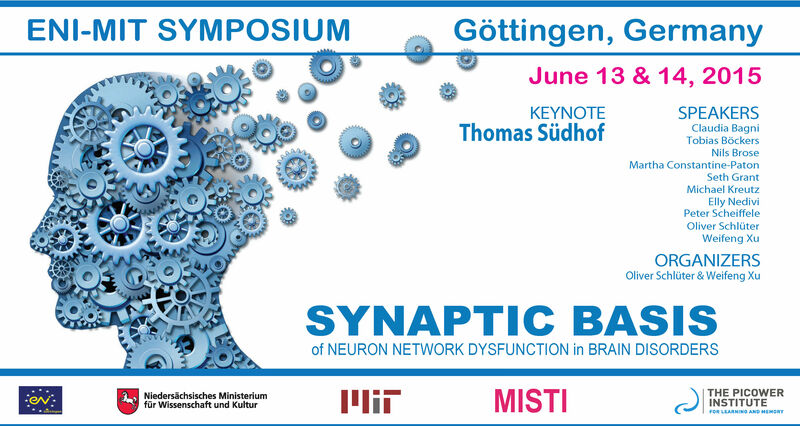 Projects involve studying cellular and molecular mechanisms of synaptic plasticity underlying learning and memory. Experimental techniques involve, but are not limited to molecular cloning, primary neuronal culture and cell line culture, protein processing, and western blotting, and immunohistology. Requirements: A bachelor’s degree in biology or related field. Research Oriented, driven, organized and detail-oriented individuals are encouraged to apply. Strong communication skills. Research experience in a biological laboratory is preferred. Technical experiences in molecular cloning, tissue culture, and animal handling are highly desirable. Please submit your application (cover letter and CV/resume) on our position page (http://weifengxu.mit.edu/positions/). Video Profile for Picower Institute Faculty Weifeng Xu and the Xu Lab. Our new lab manager Xiaobai Ren joined our lab May 27, 2014. Welcome!